SAN FRANCISCO, August 23, 2016 – Aerotenna™, the leading provider of innovative microwave sensors and flight control systems for unmanned aerial vehicles (UAVs), has released the first Intel® SoC FPGA-based flight controller. 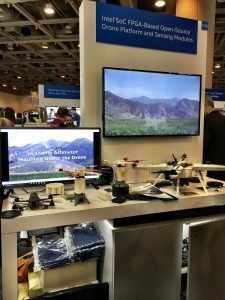 The Aerotenna OcPoC™ with Altera Cyclone®, an open-source flight control platform unveiled at the Intel Developer Forum 2016 (IDF16) in San Francisco on August 16, is based on the Altera Cyclone V SoC and leverages the combination of ARM® core and FPGA logic to enable superior sensing and processing capabilities for “smart” drones. 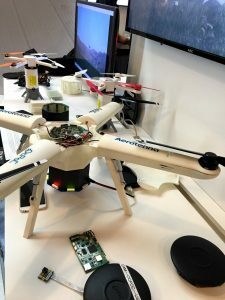 Aerotenna also showcased its μ series miniature microwave radars, the first radars for commercial and consumer drones to utilize microwave sensing technology. Together, Aerotenna’s μ series microwave radars and OcPoC flight control platform unleash drones to achieve safe and reliable autonomous flying. Unlike optical, laser and infrared sensors, microwave radar signals propagate through the atmosphere unaffected by rain, blizzards or clouds, and they work at any time of day or night. Past microwave sensors were too big for anything but large aircraft to carry their bulk. Aerotenna has redesigned the microwave sensing system to create miniaturized microwave radars compatible with smaller airframes with less power and payloads. Aerotenna μLanding™ is the first and most compact microwave altimeter for drones and small UAVs, and Aerotenna μSharp™ is the first 360° sense-and-avoid radar for drones and small UAVs. With the drone industry quickly reaching new commercial and consumer markets with creative new applications such as 3D modeling and delivery services, drone applications are becoming increasingly more complex and require more processing power and I/O (input/output) interfaces. Currently, most of the flight controller options on the market are based on a microcontroller unit (MCU), which limits the potential for sensor fusion due to limited processing power and I/O extension capabilities. 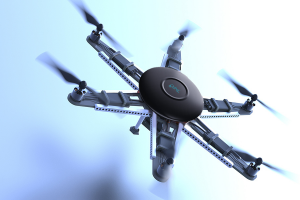 Developers seek a drone platform capable of powering complex and demanding applications. The OcPoC (Octagonal Pilot on Chip) flight control platform, built completely from scratch by the Aerotenna team, is engineered to be a ready-to-fly “box” with integrated IMU, Barometer and GPS receiver, and features a CSI-camera interface to support high-resolution video streaming. The Altera Cyclone V SoC FPGA, functioning as the brain of the platform, provides clear advantages in terms of processing power and I/O capability. An industry-leading 100+ I/Os allow for sensor integration, while the combination of dual ARM cores plus FPGA logic enable sensor fusion, real-time AI and deep learning. Aerotenna is the first drone platform provider with solutions based on SoC FPGA,” said Dr. Zongbo Wang, co-founder and CEO of Aerotenna. “The advantages of the OcPoC with Altera Cyclone open-source flight control platform will be greatly appreciated by developers with high performance requirements. We firmly believe that SoC FPGA will be the technology of choice for next generation drone applications. 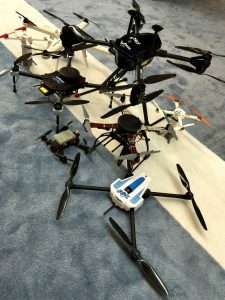 Aerotenna creates innovative microwave sensors and flight control systems for unmanned aerial vehicles (UAVs) and UAV-borne remote sensing applications. We are dedicated to improving the safety, reliability, and stability of UAVs from takeoff to landing. 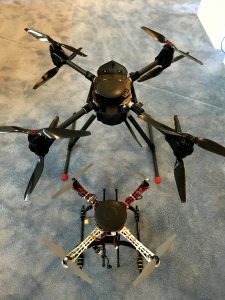 At Aerotenna, we believe that merging the best in microwave and aerospace engineering technology will be the next great leap in the drone industry.